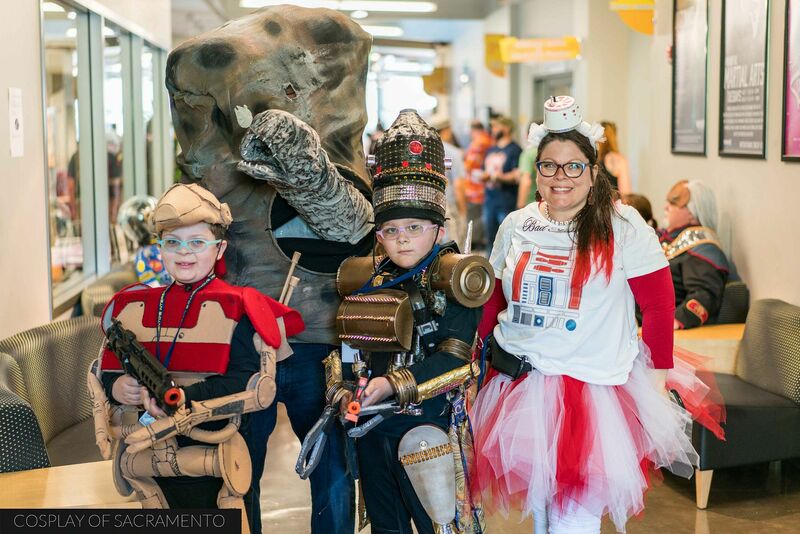 For the third year in a row I made my way to the Intergalactic Expo in West Sacramento. I am so glad that this event was able to take place once again as it is one of my favorite local conventions. As its name suggests, Intergalactic Expo's focus is on science fiction. 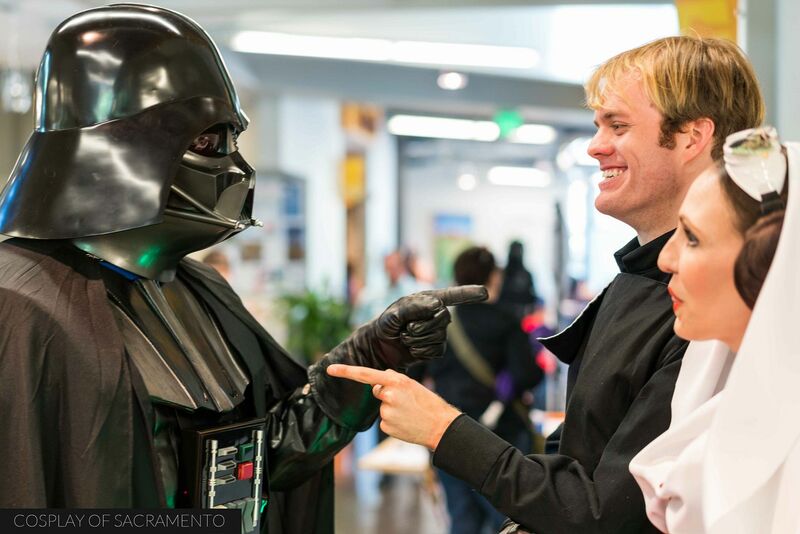 Fans of sci-fi took the opportunity to enjoy their favorite franchises at this one day mini-con. Check out this awesome family above. Their Star Wars cosplay was so on point! We've got the kids as a battle droid and IG-88 with mom as a droid and dad as the space asteroid monster! Creative to the max! Free is awesome... and you know what was at the main entrance of Intergalactic Expo? 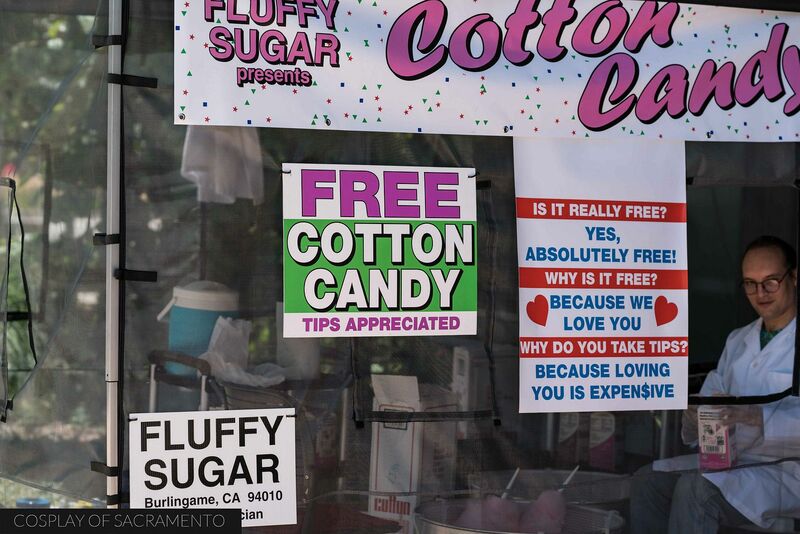 FREE COTTON CANDY! The good folks over at Fluffy Sugar had a cotton candy booth handing out their delicious pink puffs of sugar to anyone who wanted one. It was awesome seeing all the con goers enjoying this sweet treat in the halls of the convention. Huge thanks to Fluffy Sugar for doing this. I hope they got a lot of tips... they deserve it! What would a sci-fi con be without some awesome sci-fi stuff to look at? 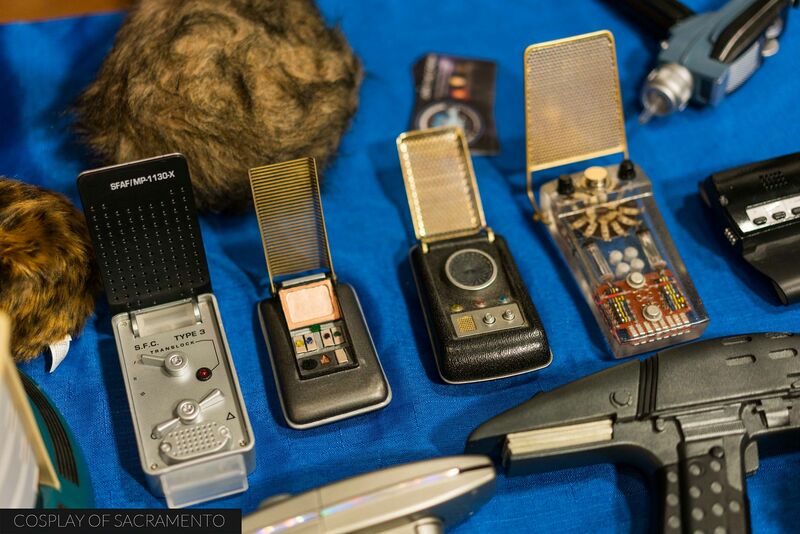 Check out these sweet communicators and phasers on display. I was definitely tempted to grab one and ask Scotty to 'beam me up'... but I knew better than to touch something that wasn't mine! Also on display at Intergalactic Expo were working droids like R2-D2 and BB-8. They were rolling around and posing for pictures. I think everybody enjoyed them immensely! Well look what we have here! It's daddy and the kids! No matter where you turned you got to see some really sweet sci-fi cosplay on display. There were actually quite a few Darth Vaders walking around. If I had to say... I'd say that Star Wars won the day in terms of the amount of people in Star Wars cosplay compared to the other franchises. We had the Skywalkers (of course) but also Imperial and Rebel troopers, numerous Sith, droids, and characters from The Force Awakens! Speaking of Star Wars, Intergalactic Expo had a great panel featuring Mark Dodson, C. Andrew Nelson, and Frank Ordaz. Each of these guests played an important part in the greater Star Wars universe. 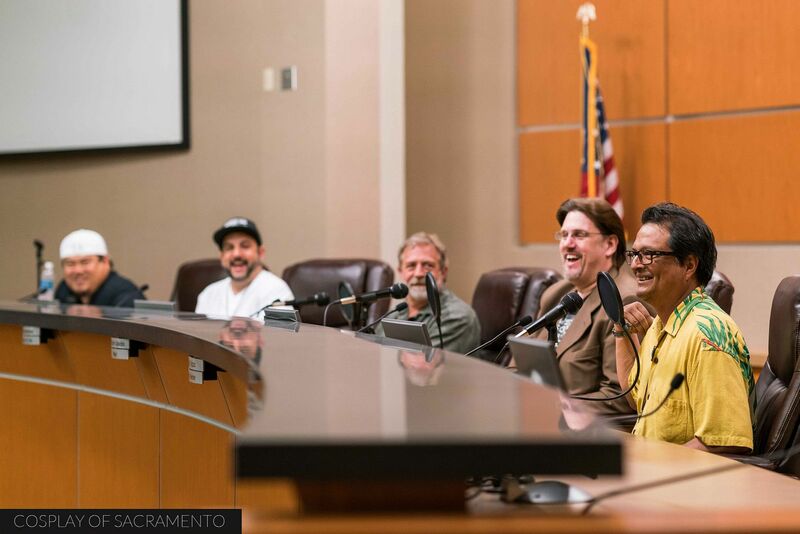 Dodson voiced Salacious Crumb in Return of the Jedi, Nelson has played the role of Darth Vader since 1994, and Ordaz has worked with ILM for many years doing amazing artwork. 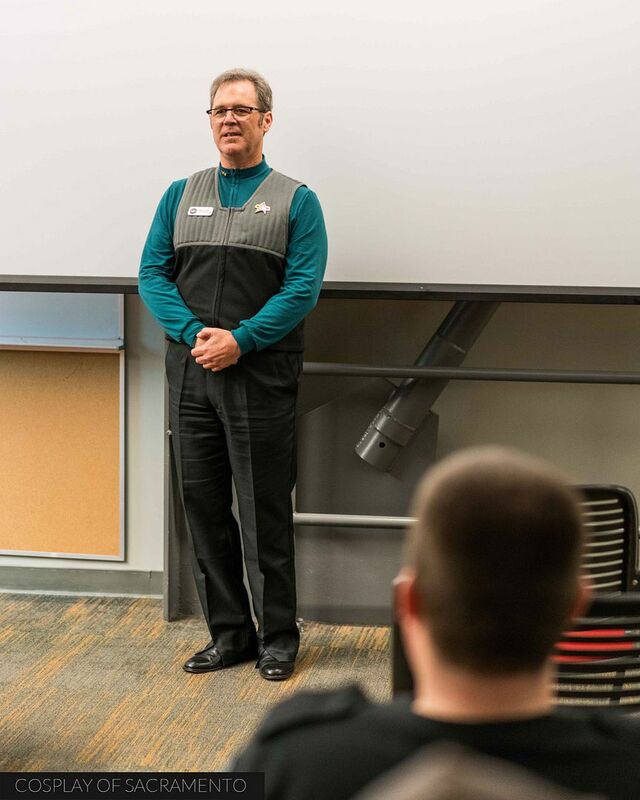 It was a treat to sit in and hear about the experiences that each of them had with this beloved franchise. I had to include this photo! 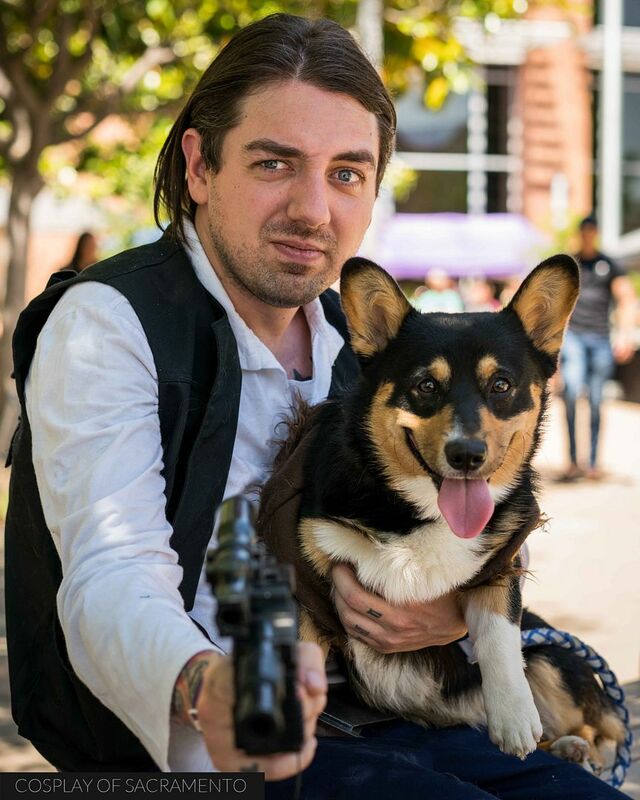 Sean Long was cosplaying Han Solo, but this time he brought his cute corgi (Chewbacca) out! I love taking photos of animals, so this was a special opportunity for me to capture the Chewie with Sean. This definitely reminded me of the animal photoshoots I did with the SPCA. If you're interested in seeing those photos, go through my blog archive! Lots of cute cosplay and animals to check out! 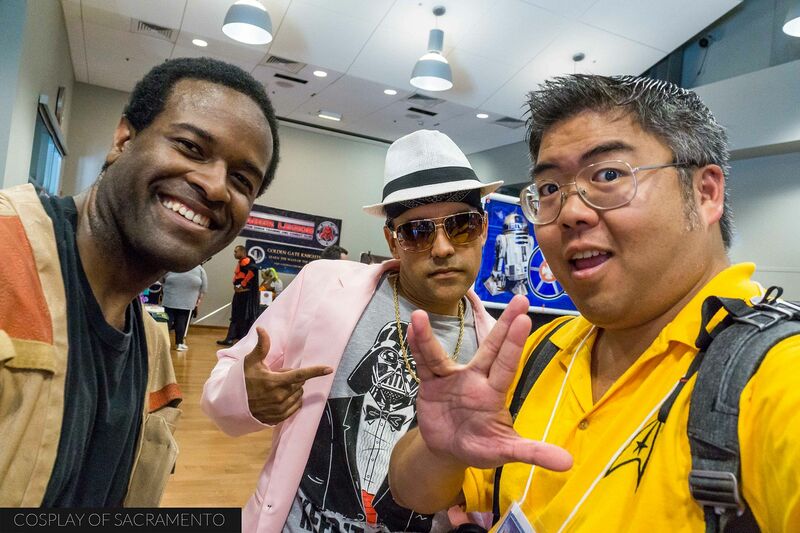 Aside from the panels and cosplayers, Intergalactic Expo had a variety of things to do. Outside were local musical artists providing entertainment. Inside there were rooms featuring lightsaber training and trivia. I hopped into the trivia room to see if I knew any of the answers to the questions they were asking. Surprisingly, I did! Now if only I had the courage to raise my hand and give the answer one of these days! I had such a good time at Intergalactic Expo this year. As always, the best part of the whole thing was seeing all the awesome friends together. Sacramento has such a great cosplay community, and I'm so glad to be a part of it. Can't wait to see everyone at the next cosplay event! Live long and prosper SUCKKKAAASS!!! Wanna see the complete gallery? CLICK HERE!